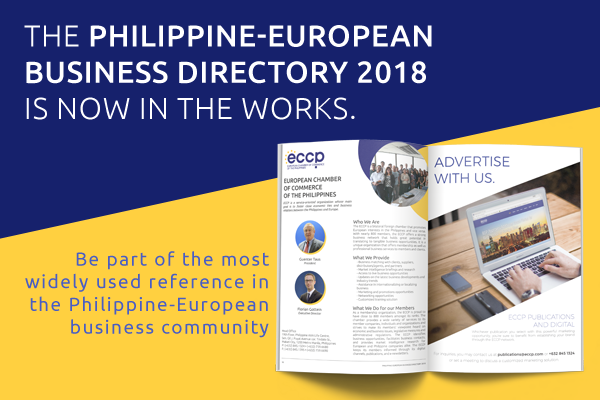 The Philippine-European Business Directory is circulated to all 800 members of the ECCP and to our regular clients and partners. It is considered as the first choice of reference by European and Philippine Executives in acquiring business contacts. Advertising with us in the PEBD is one of the best way to boost your company's visibility in the European Business Community and to promote your products and services. BOOK YOUR AD SLOTS NOW AND AVAIL EARLY BIRD DISCOUNTS!